Do you ever look at your life and think about what you would like to change about your life if you had the chance? If the answer is yes then you will be happy to learn that you are not the only one. Manchester Hypnotherapy and NLP with Claire Hegarty works with a lot of people who live in Manchester that would like to change their life by using hypnotherapy and other services that Manchester Hypnotherapy expert Claire Hegarty offers. These people want a Manchester Hypnotherapy service that will give them the safe knowledge they will receive the best professional service with powerful results. 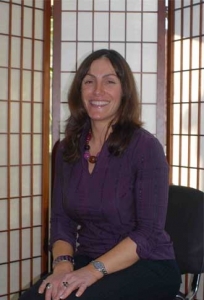 Claire Hegarty offers a friendly, experienced and trusted service allowing you to know that you are in the best of hands for all of our Manchester Hypnotherapy services. When you contact Claire you will be offered a free 60-minute consultation. The free consultation can be arranged for over the phone or at our Head Office where this will give you the chance to explain what you would like to change about your life and will allow you to ask any questions that you would like answered. We will then explain to you how we can help you to change and improve your life. Our Expert approach really does set us apart from other Manchester Hypnotherapy services because of the quality of our services that we offer. Claire Hegarty is well trained and very highly experienced and as such she is asked to appear on television and in glossy magazine as well as on radio giving her expert opinion. Manchester Hypnotherapy expert Claire Hegarty offers a number of services which include: Allergies/Asthma, Anger Management, Anxiety, Block and Stutter/Stammer, Business Coaching, Depression, Fear of Flying, Fear of Needles, Fear of Public Speaking, Irritable Bowel Syndrome, Pain Relief, Personal Development, Weight Loss, and Substance abuse. Manchester Hypnotherapy with Claire Hegarty – your local Professional Hypnotherapy and NLP expert is here to help you to change and improve your life for the better – helping you to over come obstacles in your life with powerful life changing results. Claire first started her work in Personal Development and Human interaction in 1998, when working as a Scientist for one of the worlds largest blue chip companies. During this time she trained to become an Advance Creativity Guidance and Team Management and this was when she first discovered NLP, 4 years on from that she attended her first Certification Training to become a Certified Practitioner of NLP, Hypnotherapy and Time Line Therapy tm ®– this was 5 years ago and her life has never been the same! Manchester Hypnotherapy offers you life changing results in all our services from Hypnotherapy to Time Line Therapy ™ ® giving you peace of mind knowing that with Manchester Hypnotherapy and Claire Hegarty as seen on Television – you will receive a professional service.